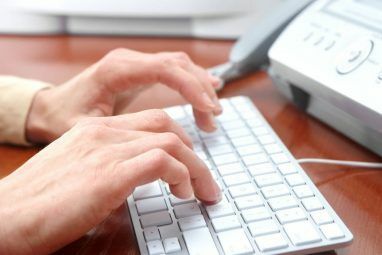 Most people prefer reading documents on paper over reading on a computer screen. Especially anything longer than a blog post is more easily read from good old paper. I believe this has something to do with the position of your head, but also the fact that you’re basically looking right into a lit screen for hours. Whatever the reason may be, people are looking for other ways to read stuff. Myself included, since I have to read quite a lot of articles for my studies. I don’t want to print everything out, because I only read it once or twice and don’t want have to carry it around with me. One innovation over the last couple of years has been the e-reader, which should solve some of the problems of reading off the computer screen. While these look very promising to me, they’re still in the early stages of adoption and above all, they are still quite expensive. And many of you already carry around a perfectly good e-reader substitute in your pocket, in the form of an iPhone or an iPod Touch. I’ve been using my iPod Touch and I’ll tell you how to read documents such as PDFs or even MS Word documents on your iPhone’s native apps as well as a third party application. The easiest way (and quite usable) to read pdf files on your iPhone is to email yourself the PDF as an attachment. This is simple and you don’t need to install any app to do this. Unfortunately, there is no easy way to organize your emails in folders, so it really is best used for something simple to read. It does have a way to read in landscape mode. It works for MS Word, MS Excel files and most images. The attachments are saved on your device after loading them once so you don’t need a connection the next time you want to read it. Files lite is actually the best free app to read documents and PDF files on the iPhone or iPod touch. You create a virtual folder on your computer into which you drag and drop the files you want to read. You can create folders in the application or the virtual folder, so it’s easy to manage a lot of books and articles. I tested this on Windows 7 but it should also work on other version of Windows, Mac and even Linux. I’ll quickly show you how to set it up so you’ll have an idea of how easy it is. The app also comes with a good guide too. Setup a network folder using WebDAV. It’s very easy and can be read about in their tutorial. You can setup subfolders in the application or on your computer. Now drag your files to the network folder, make sure that your iPhone is connected to the same Wifi network. It’s that easy. Now you can carry around your documents and read them wherever you go, without having dying forests on your conscience. And you read it correctly, you don’t need any cables to synchronize the documents. If only iTunes would work that easy when syncing your music! There are many apps in the App Store that can perform similarly to Files lite, but that you have to pay for. One restriction of Files lite is that you only have 200 MB available to play around with on your iPhone, but that can hold many PDF files. The other apps differ from each other mostly in the way you transfer files, such as over the air, via USB, FTP or downloading from a web address. A good paid app is Good Reader ($0.99) and another is Stanza (free), which is more a complete e-reader which has a PC suite to manage your books and the possibility to download many free e-books. Do you find reading from your iPhone as comfortable as reading from paper? If you like the e-reader apps, then you don’t really have an excuse to not read your articles and books. Explore more about: Digital Document, iPod Touch, PDF. I would have to recommend Stanza by Lexcycle if you're reading Novels or other text only (no images) media. iPhone app is very userfriendly. To get documents to the iPhone, open them in the Stanza desktop application and turn on sharing. Then look in "Shared Books" in the iPhone app to download the book to your iPhone. Success! Thanks BJ for the Stanza tip, I didn't know you could put your own PDFs in their system. Picking up Good Reader too, it remembers what page you are on and supports bookmarks, which is important to me! Another option is the app called Air Sharing... it basically turns your iPod Touch (what I have) or iPhone into a wireless USB drive. But that's just the start of what it does; it also lets you look at the files you put on your device. It reads PDFs, JPEGs, Video, audio files, Microsoft office files, iWorks files, etc. Thanks for the suggestions. 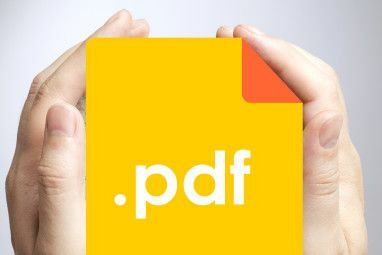 Pdf paper search engine helps me to find pdf paper and this helps me to read. Thanks for the suggestions of other solutions for reading documents on your iPhone. Dropbox is a very nice service, but if I'm correct the files are not stored on your device itself and that was a requirement for me since I have a iTouch. Same goes for Evernote if I'm not mistaking. @Joe I've heard more good things about Good Reader and I like the app myself too, as you can read above. It is a paid app though and the handling of large files isn't as good as they advertise with. I use Evernote. I just drag a PDF into Evernote on my computer, and then it syncs to Evernote on my iPhone, where I can open and read the PDF file from within Evernote. Any way to read pdfs for free on a blackberry? I use DiskAid (on my PC) and FileAid on my iTouch - a perfer set of synchronising programs - not only for pdfs. I have a folder for pdfs that I need to read - the biggest problem is the iTouch/iPhone limitation on pdf file size that can be opened. Rather on the "lite" size. Here's a big second for Dropbox. I just checked a variety of files last night and was even able to open and look at a PowerPoint. Excel and Word were no problem either, and as JakeInPro said above, it's 2GB and you can access it from anywhere. Wouldn't Dropbox be a superior option to Files Lite? It's free and with 2GB, which is not stored on your iPhone, gives you a lot more room to play with than a measly 200MB. Wouldn't Dropbox be another viable, if not better, option with the official release of their iPhone app as opposed to Files Lite?